You’ll find a warm welcome at New Forest Wildlife Park, where our friendly and knowledgeable keepers will do their best to ensure you have a fascinating and enjoyable day out. 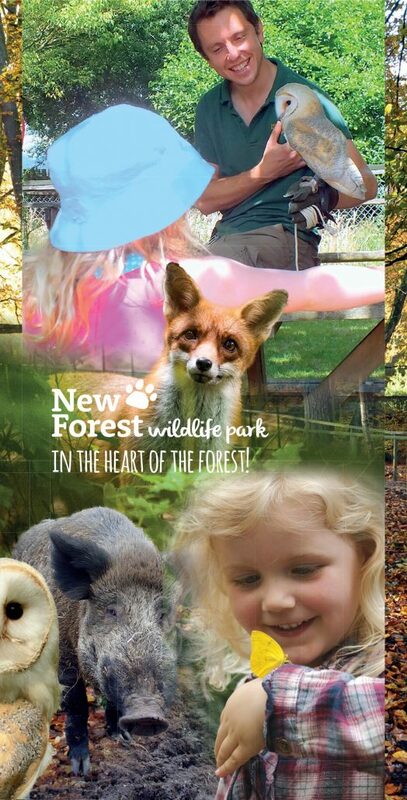 Set in lovely natural woodland in the heart of the New Forest National Park, you’ll see amazing animals and learn interesting facts about their lives. Hear about our conservation work with endangered species, such as the giant otter, European bison and Scottish wildcat, and about how we rehabilitate animals rescued from the wild. Meet playful brothers Simuni and Akuri, the first giant otters to be born and bred in the UK, or watch the antics of the lovable Asian short-clawed otters at feeding time. Get up close to the inquisitive fallow and roe deer in the deer encounter enclosure, or learn about the habits of different species of owls, including barn owls, snowy owls, tawny owls, eagle owls and great horned owls. Wander through the trees to see European bison, Scottish wildcats, wolves, lynx, wild boar, wallabies, ferrets, hedgehogs, foxes, badgers, polecats, pine martens, mouflon, souslik, harvest mice, red deer, muntjac deer and more, and visit the Tropical Butterfly House from Easter to October. Our popular Keeper Experiences, for all ages, offer the chance to become part of the keeper team while our keeper talks, feeding sessions and arts and crafts activities make your visit even more enjoyable. Our fabulous Go Wild adventure playgrounds, newly refurbished restaurant and tempting gift shop all add to a wonderful family day out. Please note: Children under 16 must be accompanied by an adult when visiting the park. Book one of our special coach party packages – cream tea/lunch plus park admittance and stay as long as you wish!